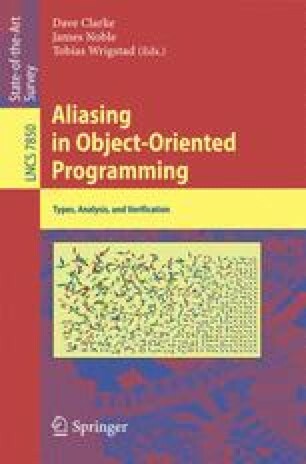 We present a high-level survey of state-of-the-art alias analyses for object-oriented programs, based on a years-long effort developing industrial-strength static analyses for Java. We first present common variants of points-to analysis, including a discussion of key implementation techniques. We then describe flow-sensitive techniques based on tracking of access paths, which can yield greater precision for certain clients. We also discuss how whole-program alias analysis has become less useful for modern Java programs, due to increasing use of reflection in libraries and frameworks. We have found that for real-world programs, an under-approximate alias analysis based on access-path tracking often provides the best results for a variety of practical clients. T.J. Watson Libraries for Analysis (WALA), http://wala.sf.net.